The annual ECRS West Coast conference is back with cutting-edge industry knowledge that you need to grow your business. 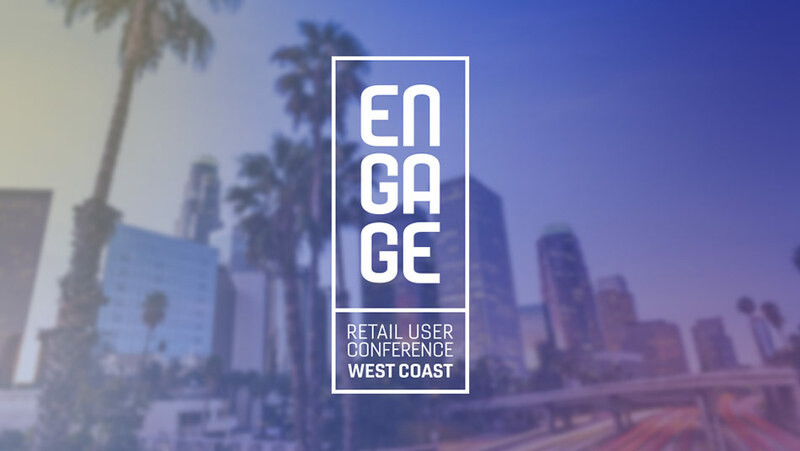 ECRS is packing its bags and heading cross country to come “engage” with YOU at ECRS’ Engage Retail User Conference: West Coast. Do you need a CATAPULT® refresher or want to hear about the newest software updates and features, all while having the opportunity to speak with CATAPULT gurus? Mark your calendar so that you don’t miss the opportunity to build upon your retail success with ECRS. This training event is designed for CATAPULT retailers and will prepare you with all of the tools you’ll need to compete and WIN with CATAPULT! Speakers, session content, and a full schedule are available below. Make sure to join ECRS after the conference at Natural Products Expo West , booth #1409, to continue your conversation with an ECRS retail expert and check out a full ECRS product display. Registration for Engage 2019 has ended. For more information, please email marketing@ecrs.com. Kick this year’s Engage off right with Charles Bateman, ECRS’ Director of Customer Care. Charles will be showing us where ECRS is headed in 2019 with a behind-the-scenes preview of the Product Roadmap. He’ll be covering what tools ECRS is deploying to help with your retail goals and how you can help ECRS to continue innovating. Are you taking advantage of the powerful tool right at your fingertips; not to mention the latest features and functionalities? Susan will unveil how your HHTs are even more powerful than before to make your inventory operations as painless and seamless as possible. Join us for a deep dive into the AutoScale 100. We’ll cover all of the latest features, and discuss installation and staff adoption. If you’ve been thinking about getting the AutoScale, or already have it and want to learn how to get even more value out of it, this session will give you the knowledge you’ve been looking for. Join us for an introduction class on Perpetual Inventory. Utilizing CATAPULT®’s powerful tools to achieve perpetual inventory has been proven to increase sales, lower on hand inventory, and raise your overall profit margin. Already using Perpetual Inventory to drive your retail operations? Let us know - we’d love to have you participate in this presentation. ECRS customers who want more information about how to transform their business and compete in a customer-centric marketplace. This is an invitation-only event for customers, select partners, and approved prospects. There is no charge to attend this event. We ask you to please let us know if you need to cancel your registration two weeks prior to the event date (minimum). Existing customer sites must have a valid maintenance contract. For more information, please email marketing@ecrs.com.